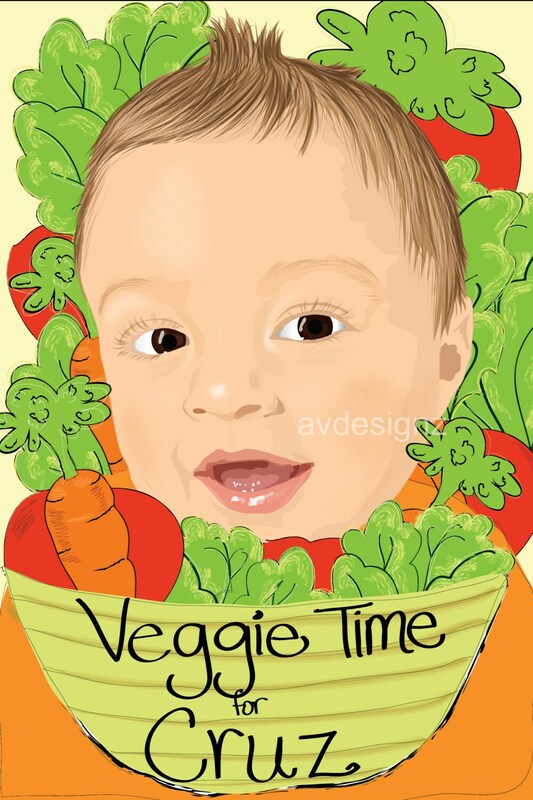 THIS SPECIFIC BOOK TEMPLATE IS TITLED 'VEGGIE TIME'. It is about the child not wanting to eat his/her veggies, and why they are good for you. I will design the child's face as the front cover. His/her name, age and face will be throughout the story. 1. book is bubble wrapped inside a white gift box with a clear top. 2. book is bubble wrapped without a gift box. :: pages are digital laser printed on 10 pt. white glossy paper - cover is 12pt. These books make excellent one-of-a-kind gifts to that special child in your life. They make very nice keepsakes, too. They will also help the young reader just starting out. If you have any suggestions or comments on different themes for a book feel free to contact me. Not recommended for children under 36 months without parent's supervision. Not intended for teething. So cute! 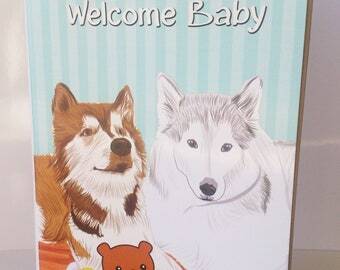 Can’t wait to give to my daughter at the hospital when her little brother arrives! What an amazing product, worth every penny. I messaged avdesignz before ordering because I had a tight deadline for needing my order and she was able to get it done for me with no issues! Now my Goddaughter has this beautiful book to have forever. Thank you so much for your hard work and kindness!! AMAZING job, we love it! Avdesignz did such an amazing job. I had a lot of details for the story and Avdesignz worked with me to help make this book perfection. I made the book for my grandfather and he cried. Avdesignz helped make this book perfection. This was such an awesome gift and I recommend that anyone interested in making a book like this should purchase from Avdesignz. depending on various factors; such as when order was placed, current pending orders I am working on, and when you wish to have your book delivered by. All books are personalized per customer. Therefore, I am unable to refund or exchange the product if you are not satisfied upon receiving it. I will try my best to provide you with the best quality design possible. I will also send you a copy of the entire book prior to shipment for approval. Your book/s will be bubble wrapped and inside a cardboard box for added security. No refunds or replacement if book is damaged during shipping process. For undelivered items (caused by USPS - delayed in custom or for other unknown reasons) - If your item hasn't arrive in 6 weeks from shipping date, a refund for your money or a replacement on my expense will be offered. For unclaimed item that was returned - there will be no refunds, only re-shipping on your expense. I will also send a tracking number for your order. Thank you for reading and understanding the policies. Shipping is currently through USPS. A tracking # will be sent to your e-mail once order is shipped. For expedited deliveries please contact me prior to ordering.